Once you experience the reach and versatility of this camera's astonishing 50x Optical Zoom, you'll wonder how you ever did without it. From sporting events to travel highlights, wildlife to landscapes, the powerful zoom lets you capture the details that make your photography stand out. Not only will you have the ability to move in to the shot you want, but you'll also be able to capture those shots with incredible Canon quality. The camera's secure ergonomic grip makes steady handheld shooting easy and comfortable, while Intelligent IS analyzes the shooting situation and applies advanced stabilization technology to help keep images clear and virtually shake-free in a wide variety of conditions. 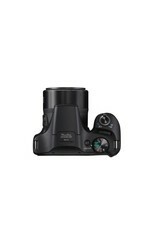 The PowerShot SX540 HS camera employs a 20.3 Megapixel* High-Sensitivity CMOS sensor, which delivers powerful imaging performance and is optimized for use in compact cameras. Utilizing a sophisticated light-capturing design, it provides high sensitivity for high ISO capture with reduced noise. 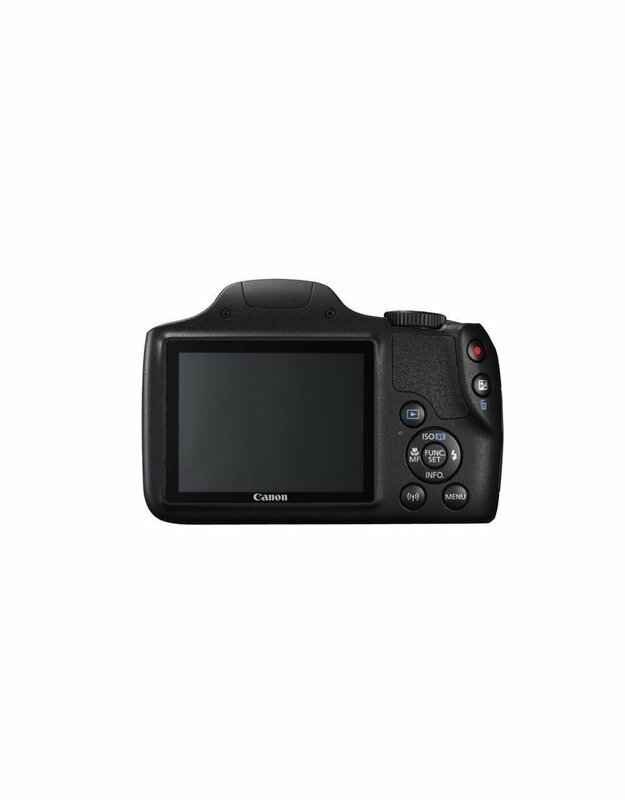 It's also incredibly fast, capable of rapidly capturing and moving image data to the processor, as well as enabling fast continuous shooting and fast autofocus. * Image processing may cause a decrease in the number of pixels. The PowerShot SX540 HS camera is equipped with the DIGIC 6 Image Processor, which helps boost image quality in both stills and video. Improved light sensitivity allows for higher resolution with less noise when shooting in dark conditions, and Dynamic IS detects and compensates for tilt and parallel movement (shift blur) to help create video that's virtually free of distortion. 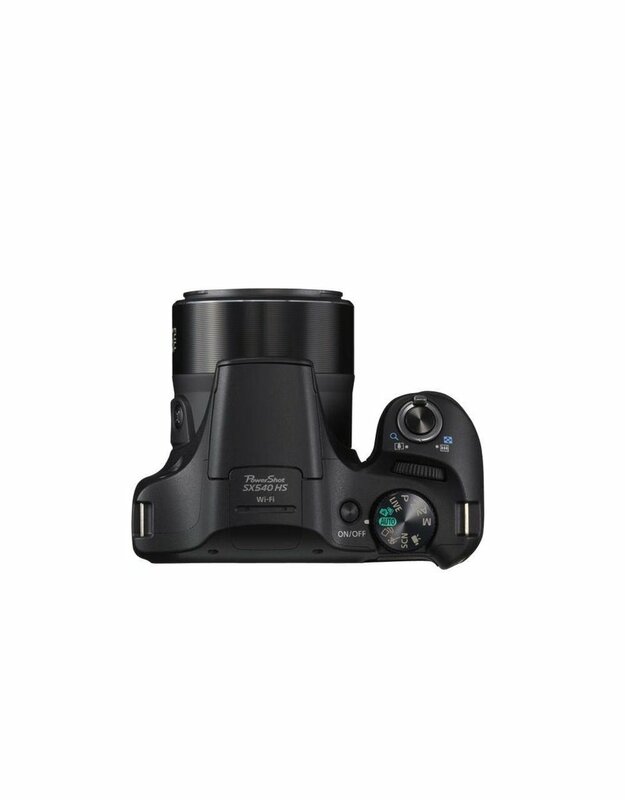 The processor also enhances the performance capabilities of the PowerShot SX540 HS camera, enabling high-speed, high-quality continuous still image shooting at up to 6.0 frames per second. And video recording is impressive as ever, as the DIGIC 6 Image Processor enables Full HD at 60p, as well as MP4 recording. Highly compressed MP4 video not only preserves space on your memory card but also improves playback on compatible mobile devices. Plus, with MF Peaking possible thanks to the DIGIC 6 Image Processor, you'll have a pro-level focusing tool at your disposal. Built-in Wi-Fi® technology allows for on-the-go convenience when you want to share your photos and videos with friends and family. 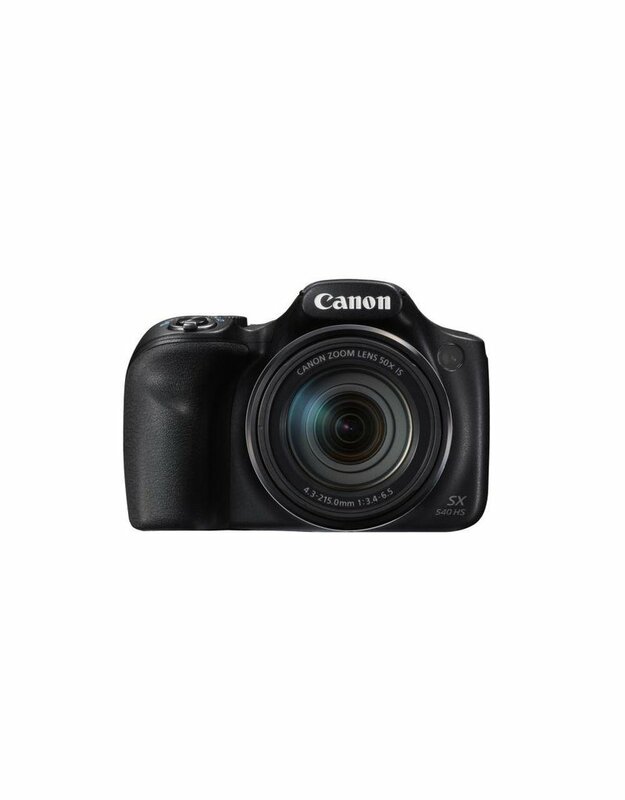 Easily post your images to social networking and media sites – Facebook®, Twitter®, YouTube™, Flickr®, and Google Drive™ – through CANON iMAGE GATEWAY* directly from your PowerShot SX540 HS camera, or save them to the online photo album to share anytime, anywhere. The camera can also connect directly to both compatible iOS®** and Android™ devices***, and upload images via the free Canon Camera Connect app** without a computer. You can control the destination of your uploads to share with everyone or to select groups, and even add comments. 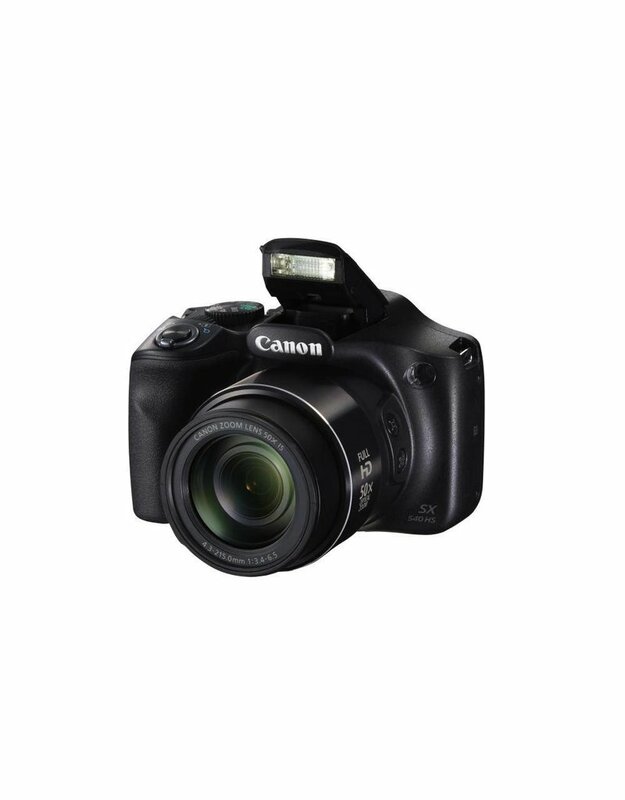 Sharing video is also easy with Wi-Fi® equipped PowerShot cameras, which record video using the easy-to-share MP4 format. Wi-Fi® capability makes posting in real time possible, so you can keep everyone up to date with photos and video even as events unfold. Wi-Fi® technology also allows you to transfer images to other Wi-Fi® equipped PowerShot cameras or print your photos directly to a PictBridge (Wireless LAN) certified printer. Thanks to the newly added Wi-Fi Button, you can now connect in both Shooting mode and Playback mode for quick and easy operation. You can even turn on the camera and connect at the same time with just one press of the button, helping you get right to sharing and managing your files when you like. With the built-in Wi-Fi® on the PowerShot SX540 HS camera, you can use your compatible smartphone or tablet** to remotely control the camera. 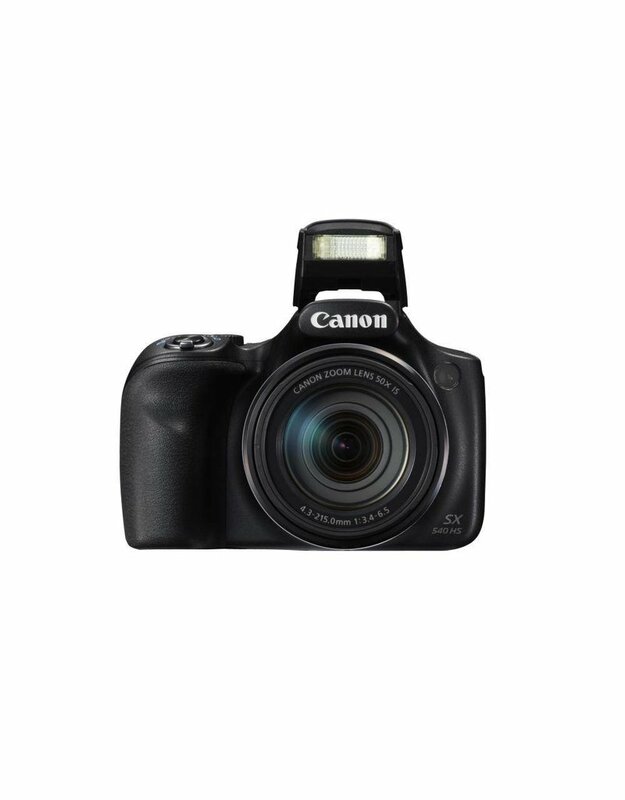 Simply connect wirelessly to your device and access the free Canon Camera Connect app**. Your device will show a live image of the camera's capture – ideal for a commemorative group photo, wildlife shots and all kinds of situations. 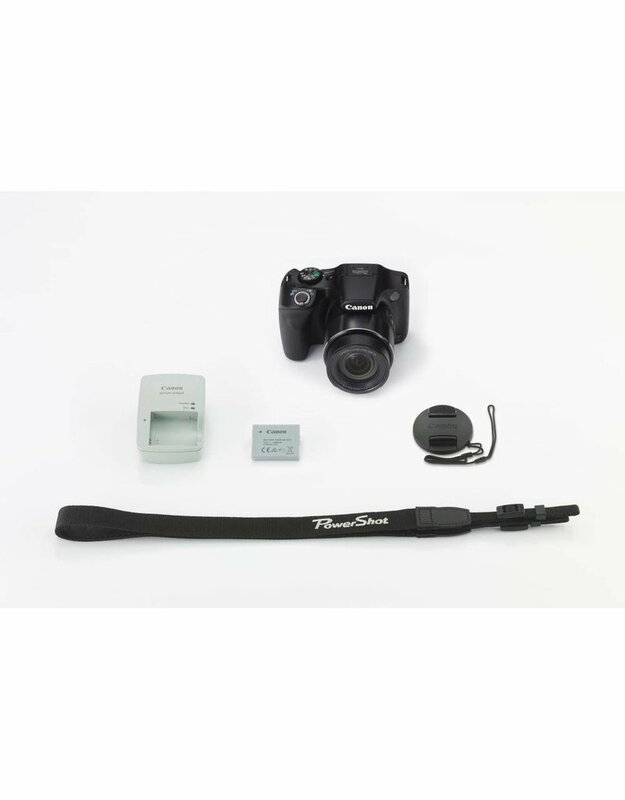 The camera's versatile 50x Optical Zoom, flash, self-timer and shutter are all under your control, with images being saved to your camera as usual. * One-time registration is required on CANON iMAGE GATEWAY online photo album. ** Compatible with iOS versions 7.1/8.4/9.0, Android smartphone and tablet versions 4.0/4.1/4.2/4.3/4.4/5.0/5.1. Data charges may apply with the download of the free Canon Camera Connect app. This app helps enable you to upload images to social media services. Please note that image files may contain personally identifiable information that may implicate privacy laws. Canon disclaims and has no responsibility for your use of such images. Canon does not obtain, collect or use such images or any information included in such images through this app. *** Compatible with Android smartphone and tablet versions 4.0/4.1/4.2/4.3/4.4/5.0/5.1. **** With the download of the free Canon Online Photo Album app. The images and videos utilizing Image Sync can be viewed and downloaded with your smartphone or tablet within 30 days. 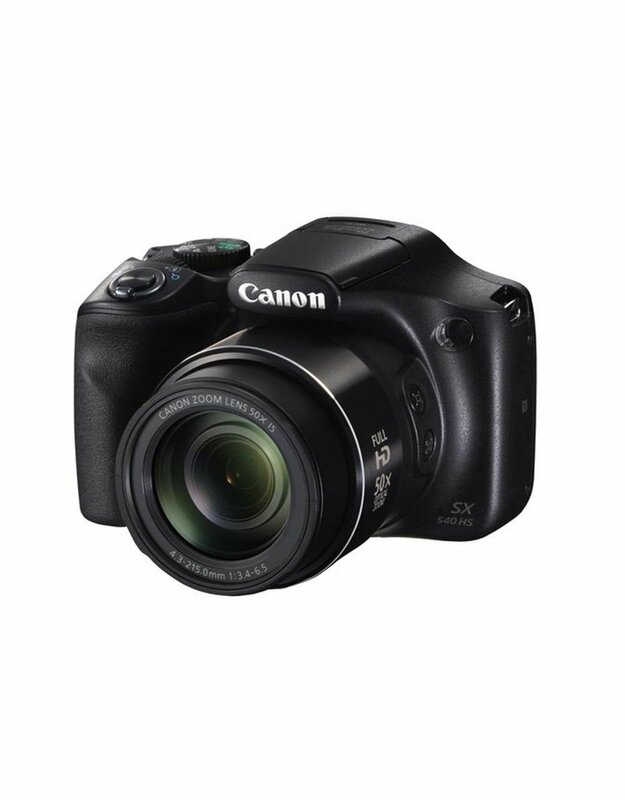 The PowerShot SX540 HS camera is designed to make beautiful, creative video capture easy and fun. Image quality is luminous and lifelike in 1080p Full HD, with selectable frame rates of 60p and 30p to match the situation and end use. MP4 format, ideal for sharing and mobile devices, is also available. Dynamic IS offers 5-axis image stabilization that corrects even the strong camera shake that happens when you shoot while running or walking backward. With its 50x Optical Zoom lens, the PowerShot SX540 HS camera has the telephoto reach to capture subjects a long distance away. At maximum telephoto, however, it can be challenging to track a moving subject. The Zoom Framing Assist seek function makes it much easier to use the camera's powerful zoom lens. When you press and hold the Zoom Framing Assist button, the camera will automatically zoom out to include a wider angle of view, enabling you to more easily locate your moving subject. Once you find it, releasing the button will cause the lens to return to its original zoom position, intelligently keeping the subject in focus until you're ready to shoot and capture the perfect close-up moment. 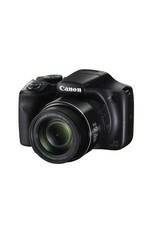 You can even make zoom adjustments while the button is pressed, with an animated assist frame that makes viewing easy. When the button is released, the lens will return to the adjusted zoom position. 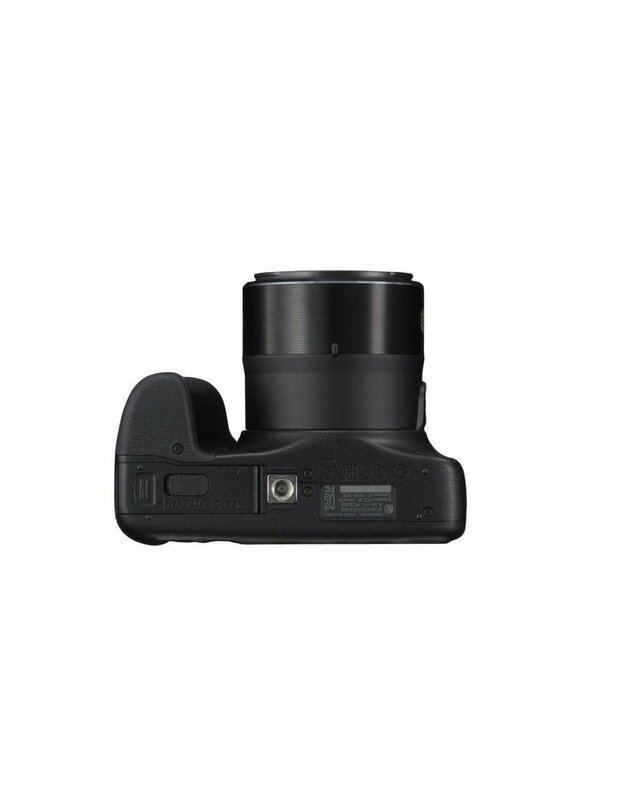 And with the Zoom Framing Assist Lock, the camera will use image stabilization techniques to lock onto and automatically track a subject, keeping them in the center of the frame until you're ready to capture the ideal close-up shot. Zoom Framing Assist can now be turned on and off with the simple press of a button, allowing for easy and automatic subject selection. Zoom Framing Assist offers a seek assist function that detects when you're panning (for instance, to search for the location of a soccer ball) and automatically zooms out to help; stop panning, and the zoom returns to its original position. Zoom Framing Assist keeps your subject's face the same size in your frame no matter how they move. Tap the Zoom Framing Assist function button to detect your subject's face. As your subject retreats and advances the camera automatically zooms in and out so their face remains the same size. 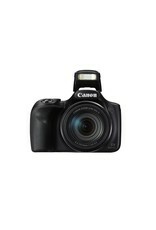 It's especially useful for capturing the expressions of fast-moving children. The feature has been further enhanced by letting you choose the subject's size: choices include face, upper body, whole body, manual or off for superior assistance and control. And, for even more convenience, all Zoom Framing Assist functions are also available when shooting video. 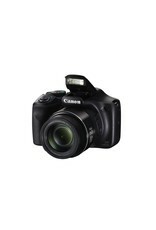 The large, 3.0-inch high-resolution LCD screen makes it easy to both frame and review your shots. A resolution of approximately 461,000 dots helps make even small details clear, and images are viewable even from a wide angle, so showing others what you've captured is easy, too. Hybrid Auto records up to four seconds of video every time you shoot a still image, then automatically joins the clips and pictures* into a video that captures the essence of special days: vacations, important occasions or any time you're shooting many shots in a day. In this mode, Hybrid Auto automatically recognizes the scene and optimizes camera settings for incredibly high image quality. The resulting 1080p HD video is properly exposed, crisp and steady, so your "highlight reel" is stunningly beautiful. * Pictures can be withheld from the resulting video via menu settings.